This is really such a wonderful product, and I must also confess that I also thought that the travel size/tester bottles were so tiny what the hell was I gonna do with them! I was convinced that with my thick long hair I would have enough for like one wash hahah but after thinking about it for a while and then a few hours later (I didn’t wait long) I tried them out and washed my hair and I must now say that the 40ml cute little mini Murph bottles will get you a good few washes! :) so don’t panic ok! And Remember how cool Kevin Murphy is with cruelty free and sulfate free products. This is gonna be a semi long post but bare with me please! …. The Kevin Murphy Plumping range is designed for people with thinning hair and hair loss. Iv got a few friends that over the years from over styling and coloring of their hair have ended up with thin hardly anything left hair. This range of products has special ingredients like Ginger root and biotinyl-GHK , that aid in preventing hair loss and over time helping the hair grow back healthier and thicker. so if you are looking for more hair then please look no further! My thoughts on this at first was that goodness, I honestly don’t need any more hair. In fact some days I wish I had less hair. 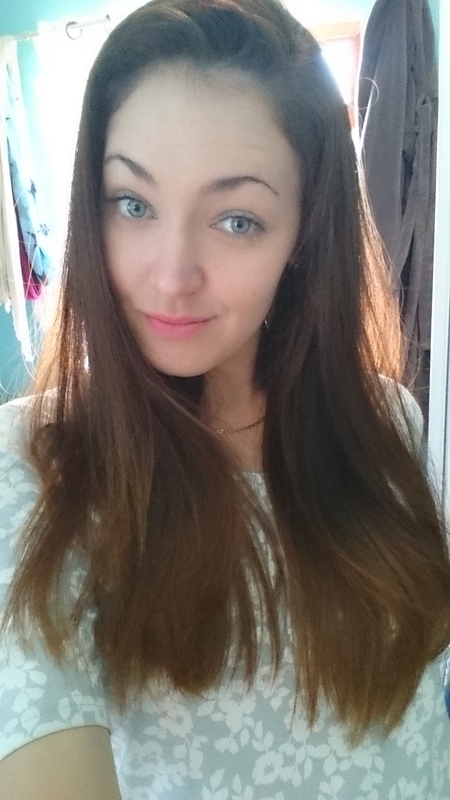 I have very thick long hair that takes up too much time to keep tame. but in the name of Testing and trying everything I gave them a go! 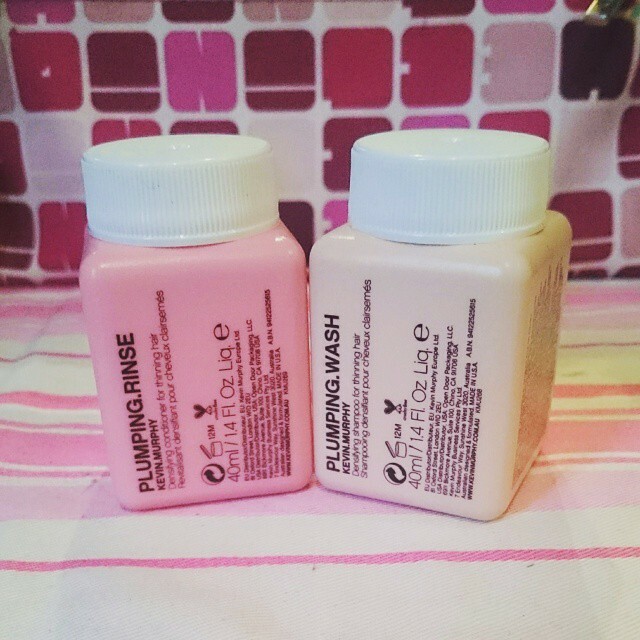 I am very glad I did, for me these Kevin Murphy wonder products did a few very lovely things to my hair. Firstly they smell amazing… I have been sniffing and passing the bottles around in the office trying to get help on how to describe the smell but I am still a bit lost..Its like sweet candyfloss ,white powdery, musky ,floral sweet smell, I know that sounds very odd but it is honestly such a Fantastic unique expensive shampoo smell! The smell lingers on hair so well its great I tell you ,just great! Then during washing and please just remember ,I have said this before, that this is a sulfate free shampoo so it doesn’t foam up like you are used to, don’t make the mistake of using too much shampoo because you don’t feel like its working, just stick to your usual amount of shampoo and rub it in like you normally would and I find it helps to let it soak in a minute or two and then wash off, you will feel your hair is clean when you rinse it off. The products are lovely luxurious thick liquids that feel good on hair when washing and immediately after rinsing the conditioner off you can feel that your hair feels bouncy in a plump thick kinds way (like squeezing a memory foam that springs back into place lol). My find on the correct amount to use is to fill the little caps of the mini rinse and wash bottles and use that amount. (like i did in the photo above) This prevents over use of product and you don’t wanna waste these babies. My hair came out super soft and shiny , smelling amazing! And it was full of life and bouncy with a plump thickness that made me feel like a princess with springy hair I could toss over my shoulder and back again hehe! like hair that feels like luxury! Good to touch and play with and looks amazing! ticks all the boxes I would need in a shampoo and conditioner! 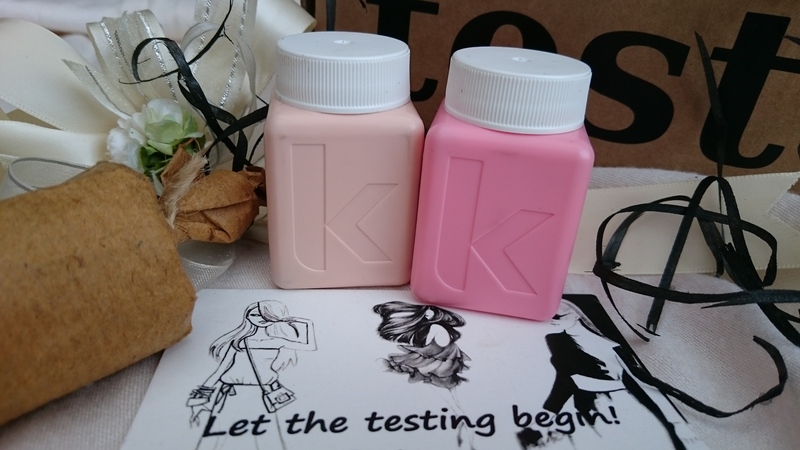 Keep a look out for my Next Kevin Murphy post cause I have some more super awesome little products to try out on the blog thanx to the Awesome people at The Test Box!! !